PLEASE LIKE MY FACEBOOK PAGE FOR MORE UP TO DATE AND CURRENT WORK. Findlay, a small farm pig, dreams of a magical place where pigs can do whatever they want: shop, eat, explore and even find some new pig friends! One day, after hearing a farmer talk about "Porkopolis," Findlay sneaks away to what he believes is the special place of his dreams. Findlay is in for the adventure of his life as he explores "Porkopolis" and finds even more than what he is looking for. Adults and children alike can learn and explore Cincinnati while reading this tale. 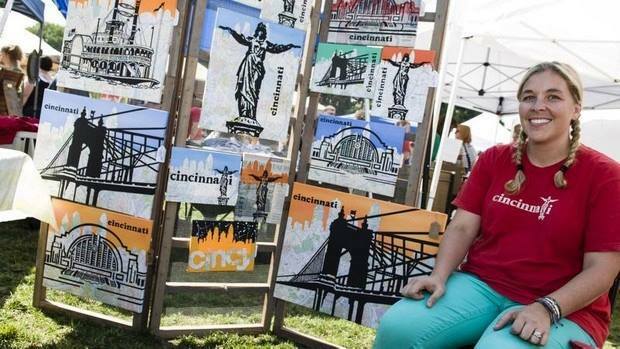 See the landmarks and sites while taking a tour of downtown Cincinnati, and the neighborhoods of Hyde Park, Mt. Adams and more. 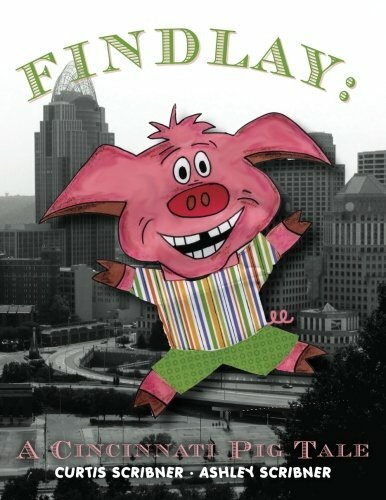 The unique illustrations of a cartoon pig interacting with black and white photographs makes "Findlay: A Cincinnati Pig Tale" not only a fun children's story but a keepsake for anyone who loves Cincinnati!